Nebraska ranks last among states that tourists most want to visit. The State Tourism Board just launched a self-deprecating tourism campaign telling folks that "it’s not for everyone," but we think it's a great state for trail riding. 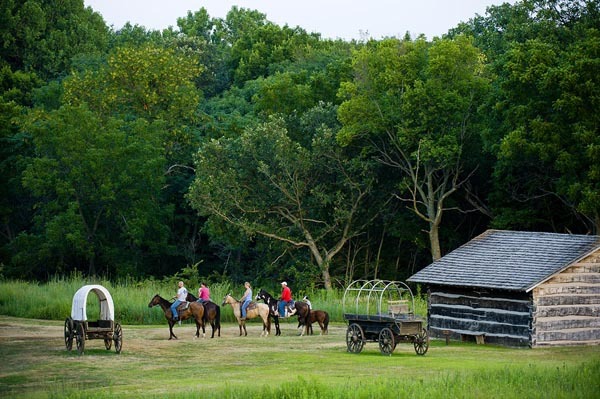 Check out some of Nebraska’s best and "secret" trail riding and camping areas for equestrians! Photo courtesy NEBRASKAland Magazine/Nebraska Game and Parks Commission. 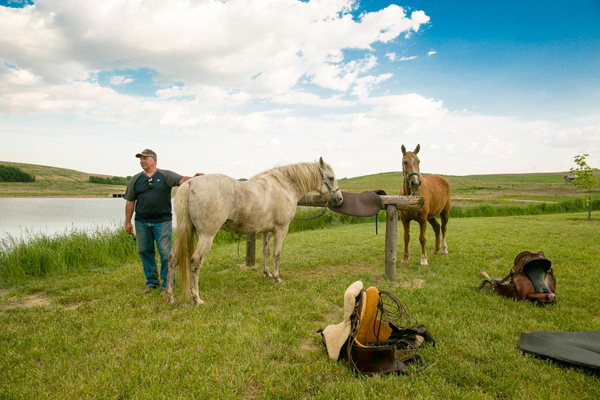 With miles of rolling hills and endless plains, Nebraska’s state parks serve as perfect weekend getaways for equestrians looking for a small break from reality. With just over 520 acres of land and a 219-acre lake, the Danish Alps State Recreation Area serves as a great getaway spot for those craving adventure. Located in Hubbard, Nebraska, this state recreation area is named for its early Danish settlers and aims to provide its visitors with an experience rich in history and full of Nebraska’s natural beauty. 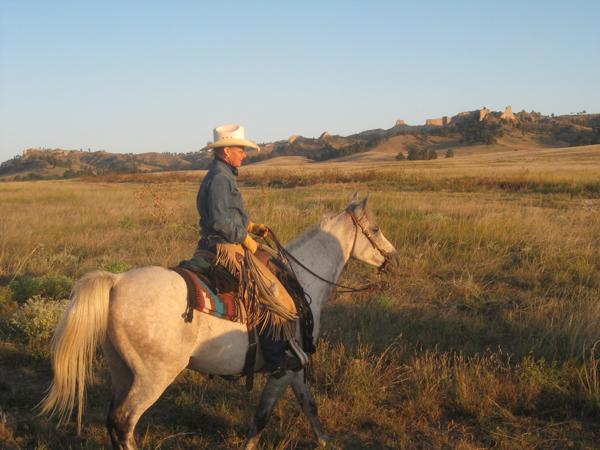 The Danish Alps State Recreation Area is a great area for equestrians to enjoy a weekend trail riding through the beautiful plains of Nebraska. One of the two main trails within this area is designated for equestrian use only and makes its way around the 219-acre Kramper Reservoir. For overnight use, the Danish Alps State Recreation Area provides a horse campground with 26 gravel pads, three cement gravel pads, and 14 horse corrals with hitching posts and water. All campsites provide electrical hookup and are located near common restrooms and showers. The Danish Alps State Recreation Area allows guests to participate in a variety of outdoor activities, including fishing, boating, hunting, hiking and biking, and horseback riding. Visitors are able to see many different species of plants and animals. The area's waters host a variety of fish, including largemouth bass, bluegill, black crappie, channel catfish, and walleye. The state recreation area is open for hunting beginning on the first Tuesday after Labor Day and goes through the end of the spring turkey season. While the Kramper Reservoir provides guests with plenty of water activities, there are still 520 acres of land left within the recreation area’s boundaries. With two main trails running throughout the area, many visitors are found hiking and biking throughout the day to enjoy the beauty of the Danish Alps. The Danish Alps State Recreation Area serves as a great place to take the family for a weekend vacation and enjoy Nebraska’s great outdoors. Find out more about the Danish Alps State Recreation Area. 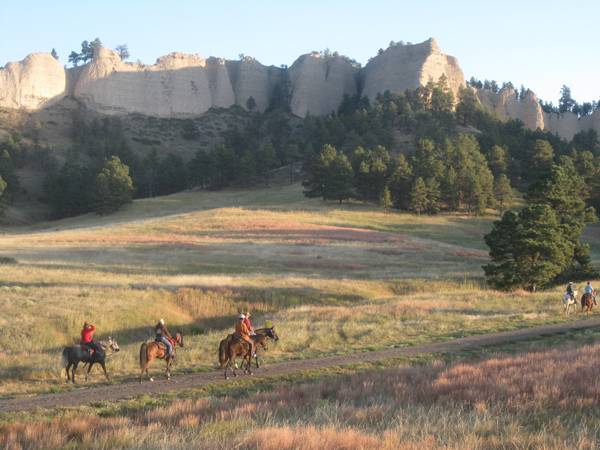 Located in the Pine Ridge area of North Western Nebraska, Fort Robinson State Park is one of the state's most popular horse destinations. Originally established as a fort during the second World War, Fort Robinson became a state park in 1962 and is now named “one of the nation’s top family reunion spots" by USA Today. With just over 22,000 acres within its borders, Fort Robinson has a multitude of outdoor activities for its guests to participate in. 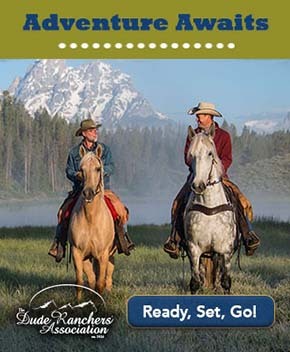 However, one of its most popular attributes is its incredible horseback riding experiences. The park is a very popular tourist attraction for equestrians in Nebraska and has been called by many a “horse rider’s paradise”. Fort Robinson provides its equestrian guests with 20 miles of trails for horseback riding and a year-round equestrian campground. The equestrian campground has full hook-ups with nearby showers and restrooms (which are shut off during the winter months), and horses are required to be housed in the barn for overnight stays. On the west end of the park, the National Forest shares a little creek called Soldier Creek, where riders can ride on three different trails and stay overnight in a primitive camping area with a set of corrals. For more riding opportunities, guests can check in with the Nebraska National Forest. Photo courtesy Arabian Horse Association. 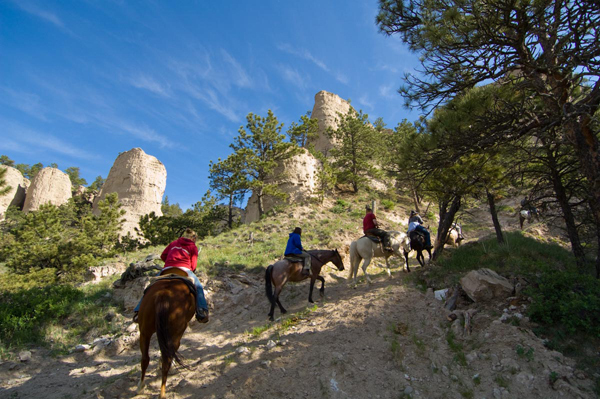 While horseback riding is a popular attraction, Fort Robinson also offers its guests many other activities to participate in during their stay. Tours of the park are given daily during the summer months in jeeps, horse-drawn hay rides, and stagecoach rides. Fort Robinson also hosts two museums--one of which is operated by Nebraska State Historical Society and focuses on the history of the park and its buildings, and the other, Trailside Museum, is operated by the University of Nebraska and focuses on the park’s geology and natural history. For those seeking an evening of entertainment, Fort Robinson State Park hosts a free rodeo every Thursday night at 8 p.m. during the summer months. It is also home to the Post Playhouse, presenting eight shows per week during the summer months. Fort Robinson has over 100 miles of trails, 60 of which are for hiking and 20 of which are used for biking. Mountain bikes, kayaks, and tubes may all be rented at the activities center, and guests may visit the Legends Butte nine-hole golf course for a day out on the greenery. Fort Robinson also has an outdoor wading pool and an Olympic-sized indoor pool open from Memorial Day weekend through Labor Day. The park has 35 group lodging options, housing anywhere from two to 20 people, as well as 22 rooms in the historic lodge. For those who wish to camp, Fort Robinson has 100 RV pads, all with electric hookups and available restrooms, laundry, and showers. Find out more about Fort Robinson State Park. Home to its very own large sandstone cave, Indian Cave State Park has over 3000 acres full of historical landmarks and scenic trails for its visitors to enjoy. Located in Shubert, Nebraska and bordering the Missouri River, this state park provides its guests with some of Nebraska’s best scenic views. One of the most unique aspects of Indian Cave State Park is its namesake. This large sandstone cave is a popular sight to see, with petroglyphs from early Native American tribes engraved on its walls. Visitors may view this cave and its petroglyphs from a wooden boardwalk just outside the cave. Indian Cave State Park has over 20 miles of hiking and biking trails, and 16 miles of equestrian trails available for use. 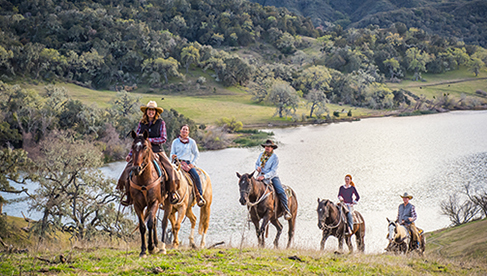 They provide guided horseback trails on weekends during the summer and fall, and the rest of the year is open for those who wish to bring their own horses. 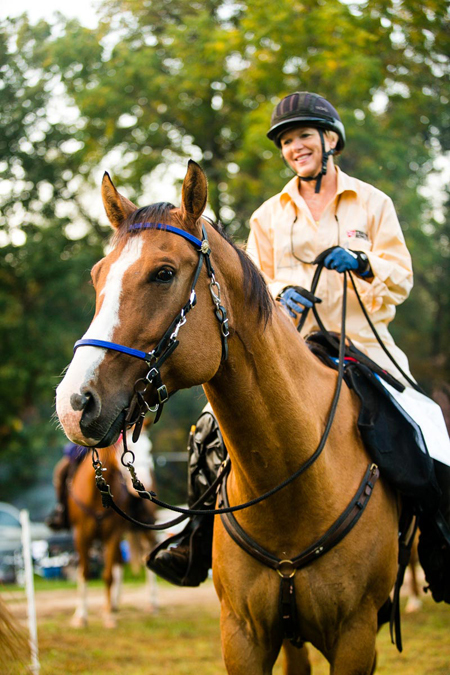 When riders are not out reveling in Nebraska’s beauty on horseback, they are able to participate in numerous activities and programs. The park hosts both birding tours and naturalist programs for its guests who wish to see wildlife such as deer, turkey, barred owls, and whippoorwills. Guests may also enjoy a day out on the lake fishing, swimming, and boating. Indian Cave State Park also hosts Christmas in July, in which guests can interact with Santa, watch Christmas movies, and take a ride around the park in horse-drawn sleighs. Indian Cave also celebrates Haunted Hollow during Halloween. At the end of October, visitors are able to participate in hay rides, campsite decorating contests, and different games and crafts in celebration of Halloween. As far as campsites go, Indian Cave State Park has 134 RV sites and primitive camping in the hills. Equestrian visitors may stay in Indian Cave’s horse camp during their overnight stays with their horses. The horse camp includes 12 corrals and multiple tie-out-posts. Temporary fencing is permitted, and camping is primitive (with no electricity). A water wagon is available for use nearby. All sites are located near showers, restrooms, and laundry, and include picnic tables and grills. Find out more about Indian Cave State Park and how they can help meet your family’s camping needs. Located on the northeast border of Nebraska, where the Niobrara and Missouri Rivers meet, Niobrara State Park is a great place for family and friends to enjoy Nebraska’s great outdoors. With countless family-friendly events and a wide array of outdoor activities, Niobrara State Park provides its visitors with a fun-filled stay at their park. Niobrara State Park has over 120 acres for equestrian use. However, there are no distinct trails and riders are free to roam across the land and experience the many views of Nebraska’s nature. 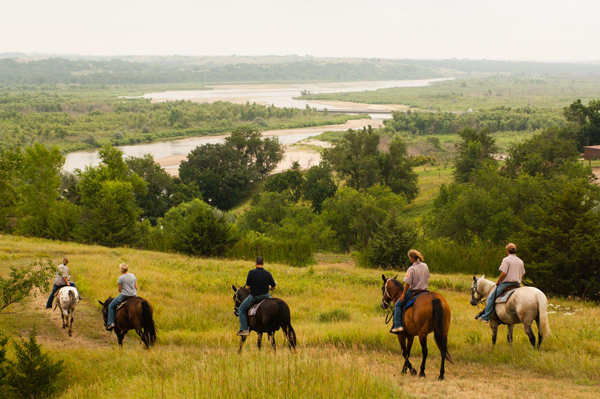 During the summer months, Niobrara provides its guests with guided trail rides, in which riders receive an incredible tour of Niobrara’s outdoor experiences. 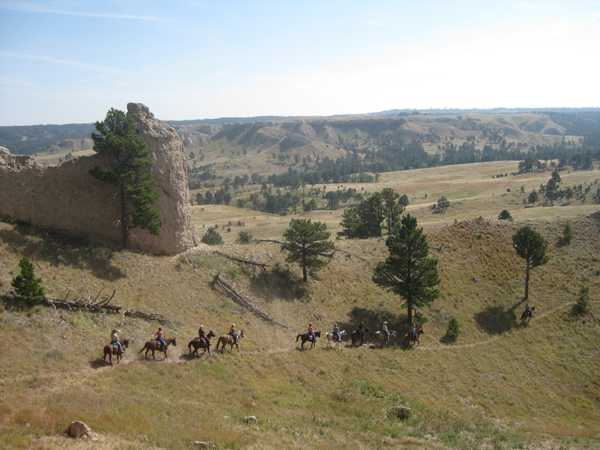 In between trail rides, riders are able to participate in a variety of other activities offered by Niobrara State Park. With 14 miles of hiking and biking trails, and both a pool and a lake to swim in, guests can enjoy every aspect of Nebraska’s outdoor adventures. For guests who prefer more organized activities, Niobrara hosts Buffalo Cookouts every Saturday during the summer, with storytellers and cowboy poets as entertainment. They also host wildlife watches, in which visitors can spot white-tailed deer, wild turkey, beaver, muskrat, chickadee, and possibly bald eagles. At the J. Alan Cramer Interpretive Center, guests can take in a beautiful view of the park all while learning about the history of Niobrara State Park and the Ponca Indians. Niobrara State Park has 30 tent camping sites and 76 RV sites for its guests to enjoy. They also provide 20 fully furnished cabins overlooking the Missouri River Valley with heat and air conditioning for year-round use. There is a primitive equestrian campsite that isfirst-come-first-serve, with one common corral that guests may share. Niobrara State Park is a park rich in history and unforgettable memories. It is a great place for equestrians to bring their horses and experience the great outdoors of northeast Nebraska. Find out more about Niobrara State Park. Originally used as a Pony Express Station in 1857, Rock Creek Station State Historical Park is an excellent place for equestrians to experience a horse-filled weekend. Located in Fairbury, Nebraska, Rock Creek Station has 350 acres of beautiful Nebraska scenery for everyone to enjoy. This park is rich in history, as this is where “Wild Bill”, or James Butler Hickok, killed Davis McCanles and began his career as a gunfighter in July of 1861. Throughout the park, guests may see deep ruts made from wagons on the Oregon and California trails. Guests are welcome to stop by the visitor center and learn all about the history and wonderful stories Rock Creek Station has to tell. For those simply looking for a family-friendly weekend camping trip, Rock Creek Station is the place. With four miles of hiking and nature trails and five miles of separate equestrian trails, guests are able to enjoy a weekend outdoors with the family. For equestrian visitors, Rock Creek Station provides a horse camp with 20 individual corrals with water provided, along with picnic tables and grills available for use. Riders can wander the five miles of trails within the park, as well as visit nearby Rock Creek Station and Rock Glen Wildlife Management Area for an extended ride. Overall, Rock Creek Station is a very popular state park for history lovers and those searching for a nice weekend outdoors with their family. Find out more about Rock Creek Station State Historical Park. About the Author: Madeleine Davis is a college student at Texas A&M University, studying Animal Science and pursuing an Equine Certificate. Having ridden and competed Arabians since the age of seven, she has a passion for the Arabian horse and enjoys writing about her experiences and knowledge of the industry.